Yaki Remy hair is close to African American hair. 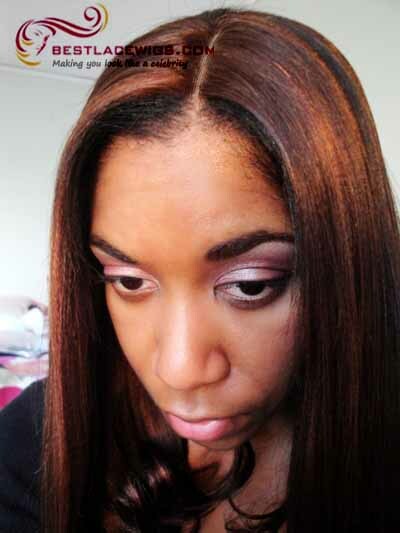 Our stock yaki lace front wigs are light yaki. And it's ok for most of the customers. Yaki texture can not hold the curl as good as silky hair. Lace front wigs are cheaper than full lace wigs. And we can ensure that the quality of lace front wigs is very good as the hairs are 100% human virgin hair. For our many lace front wigs such as wigs free shipping and wigs for black women, you have many choices to the color and hair length. Many of our other kinds of wigs are very beautiful, like african american hair and yaki lace front wigs. No matter what kind of wigs you like, just come to our website, you could find them. The wig is nice. 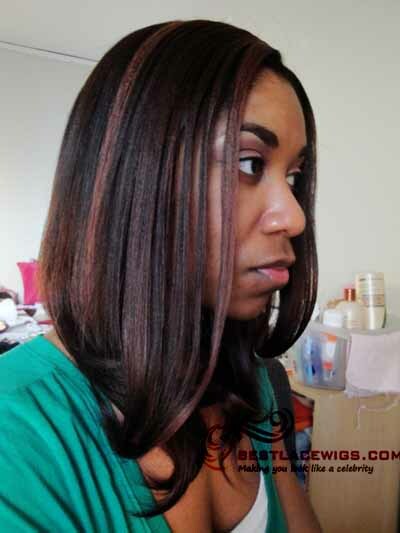 But I didnt like the 150 density on this lace front wig. I felt it was to thin and you can feel tje tracks when I brush or comb the wig. I also had to color the wig as well. But i like the yaki feel. Nice hair. Very fast delivery. Thanks for letting me get it in time. I will order more. I always ordered from bestlacewigs. They have fast shipping and response. This hair is very beautiful. A quality hair. I love it. I bought this hair because of the Yaki texture. It matches my hair very well. It is quality hair and no smell, no tangle. I always wear yaki hair. This one is very pretty and comes very fast. Just I regret that I have ordered a 14in. I should get the 16in. But whatever, this hair is recommended. At first I was very skeptical of ordering a wig from online. After constant debate and reading reviews I made the purchase. I love this wig. I am 5'11 so I ordered the 22 inch. It reaches the middle of my back. When the hair comes out if the package it may seem like it is thin. To get the full look you have to run your fingers through it a little. The hair is very soft. Making the purchase with Abby was awesome. Within hours of me ordering online she called me to confirm my order and cap size and other specifics of the wig. The delivery was very fast. Tuesday it was shipped and I received the wig by Thursday. I would recommend this wig and I will order from Abby again in the future. Bestlacewigs was great! Called me immediately after i placed the order to confirm everything was correct. Love this wig, only thing is the cap fits a little small but a little bit of alterations and I'm happy. I will order from you guys again.